The Hukilau is a 4 day/4 night celebration of all things Tiki and Polynesian Pop - get into the spirit and wear your best vintage Aloha wear, Hawaiian shirts or that gorgeous sarong! We celebrate in Fort Lauderdale as this is the location of The World's Best Tiki Bar - the Mai-Kai Restaurant and Molokai Bar. Opened since 1956, this Mid-Century icon is one of the last and best remaining Tiki temples in the world that also made it onto the National Register of Historic Places in 2014. 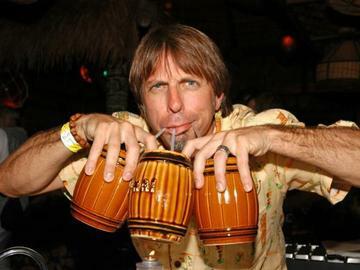 The Hukilau brings you the best Tiki Cocktails, Exotic Tunes from around the globe, Tiki Vendors from coast to coast and unique symposiums on Tiki History that will keep you spellbound. The Hukilau enters our 15th Annual in 2016 and the Mai-Kai celebrates their 60th Anniversary! Don't miss this very special year!!! The Hukilau™ is a rain-or-shine event. In order to gain access to the Mai-Kai on Saturday night YOU MUST MAKE DINNER RESERVATIONS. There are two dinner shows to choose from, each with a Happy Hour prior to seating for dinner. YOU MUST CALL THE MAI-KAI DIRECTLY TO MAKE YOUR DINNER SHOW RESERVATIONS at 954-563-3272 - all Open Table Reservations have been disabled so that only attendees of The Hukilau are guaranteed seating. All Passes and Tickets are fully refundable up until midnight on March 1, 2016. After midnight on April 1, 2016 your tickets are non-refundable but they are transferable. You may sell your ticket to another individual; if you do this, please contact us so that we may change the name of the ticket holder.